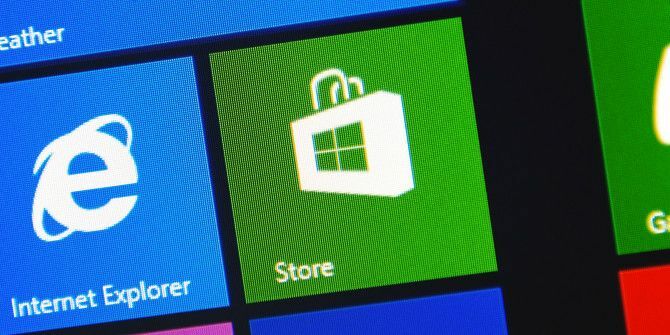 Have you downloaded an app from the Windows store How to Find Apps You Can Trust in the Windows Store How to Find Apps You Can Trust in the Windows Store Microsoft's app store is better than its reputation, but you'll still run into scam, fake, and insecure apps. We'll show you how to identify an app's trustworthiness. Read More , only to find that it’s having some issues? All you need to do is reset it. Note: This feature is part of the Anniversary Update Windows 10 Anniversary Update Due in July & These Are Its Best Features Windows 10 Anniversary Update Due in July & These Are Its Best Features You will love the Windows 10 Anniversary Update! The second big upgrade to Windows 10 since its launch in July 2015 is expected this summer. Here we highlight the most exciting features. Read More , so if you don’t have an Insider An Insider Review of the Windows 10 Fall Update An Insider Review of the Windows 10 Fall Update The Windows 10 Fall Update contains many minor improvements, a few feature updates, and a bunch of new settings. We show you what to expect and which default settings you might want to adjust. Read More preview, you’ll have to wait until the August release to use it. Open Settings by typing Windows + I.
Click Reset on that Advanced options page. Click Reset on the warning box that pops up. Once you reset the app, you’ll see a checkmark next to the Reset button that confirms that you’ve done it. This will delete all local data on the app, so keep that in mind before you do it. When you open the app again, you’ll have to login or set everything up just like the first time you installed it. Explore more about: Troubleshooting, Windows Store.